Welcome to Music Together Chesapeake of Annapolis, Crofton and Severna Park. We’re proud to be the top spot for kids’ music classes in Anne Arundel County. Music Together Chesapeake began as Music Together® with Mrs C. in the spring of 1996. 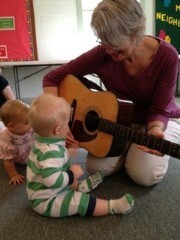 Director, Jeanne Calderon held the first class in Crofton, MD with one class of six little boys. Annapolis and Severna Park locations soon were added. A few years later the name was changed to Music Together Chesapeake, and the faculty began to grow. In 2010 the center started offering Intergenerational classes (Generations), and started offering Music Together in-School the fall of 2011. Music Together Chesapeake is staffed by teachers who have a love for music and are committed to bringing this gift of music to children and families in our communities. Our greatest joy comes from seeing children discover music. 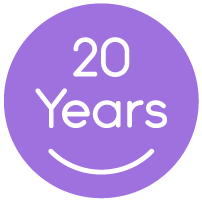 Celebrating 20 years of family music making, Music Together Chesapeake offers classes six days a week at locations in Annapolis, Crofton and Severna Park, serving children and families from throughout Anne Arundel County. Come join us for a free trial of our kids’ music classes to find out if our program is right for you and your family!